Retailers are being urged to put customer and workers' safety above profits and avoid overstocking in the run up to Christmas. The warning comes as sports retailer JD Sports Fashion plc was fined £67,500 for fire safety breaches at stores in Dudley and admitted six offences. Encourage fire wardens/marshals to step up checks - have them regularly check emergency exits and escape routes, and report any issues promptly to the store manager. Step up good housekeeping practices - waste packaging can cause congestion, as well trips and falls. Make sure it is removed promptly for disposal and not allowed to build up in busy areas or along exit routes. Always keep fire doors clear - avoid storing surplus stock or display equipment in front of them. This will hamper any evacuation. Check clearances in the storeroom - avoid stocking items too high, and make sure there is adequate clearance between light fittings and other sources of heat, to minimise the fire risk. And, don't store stock directly under sprinkler systems, as this may make them less effective in the event of fire. Familiarise everyone with emergency routes and Assembly Points - pay particular attention to training temporary or seasonal staff, or anyone seconded from another store. They may be unfamiliar with your store layout and the rules. 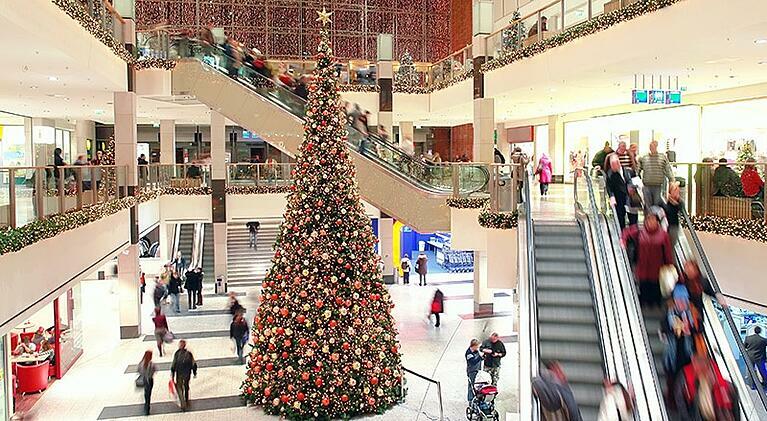 Monitor and manage overcrowding - of course, all retailers want to see increased footfall in stores at Christmas. But, be sensible and realistic. If shoppers cannot move around easily, they may not be able to evacuate safely either. In extreme situations, consider closing the doors temporarily to all new visitors to keep everyone safe.